As was mentioned in a prior article, burglar alarms can be hard-wired or wireless. These alarms can also be monitored or unmonitored anytime you are installing them in order to protect your family and home from a burglar. There are basically only a few ways to monitor home burglar alarms so you need to determine which way will facilitate your specific needs. The following 4 steps should help you. Step #1: Determine your home security needs – although this sounds fairly easy, it is the first step you should take in order to determine whether or not you want a monitored system as well as how your burglar alarms are monitored. Step #2: Decide on the type of burglar alarms to install – considerations include door and window sensors, motion detectors, surveillance cameras and monitors, and other detectors such as fire, flood, or glass break sensors. Step #3: Educate yourself on the monitoring options currently available – with either hard-wired or wireless systems you can pay a security company a monthly fee to monitor either one of them. You can set your cell phone to alert you if your burglar alarms are triggered anytime the system is activated by an intruder. Additionally, if you install surveillance cameras, you can monitor them on closed-circuit television or digitally depending on how sophisticated your system is. The monitoring company can do this for you as well. What you want to remember, if you decide to monitor your burglar alarms yourself, is the fact that you are in for a lot of tedious work. This makes paying a professional monitoring company a monthly fee well worth the money spent on the service. If you are monitoring your system on your own and if something goes wrong, you’re going to have to be the one that dials 911 and gets the police out there in time. On the other hand, if you hire a professional monitoring company, they do this for you. 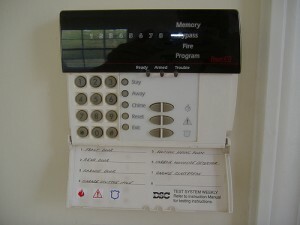 Previous post: How Do Intruders Disable Burglar Alarms?